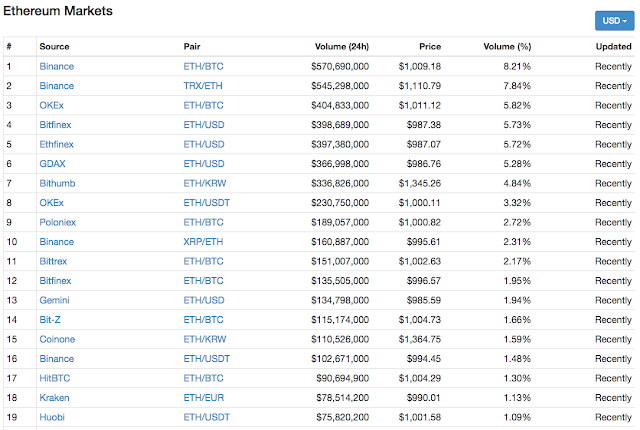 Ethereum tokens (ethers) have reached $1,000 on multiple major exchanges for the first time ever. This is an all-time high and the result of a multiple-day rally. The total market capitalization of ethers currently available is now $100 billion. And yet, ethers only represent around 13 percent of all cryptocurrencies out there. 2017 may have been a huge year for cryptocurrencies across the board, but one of the most important stories is that there are now many different tokens worth tens of billions of dollars when it comes to market capitalization. 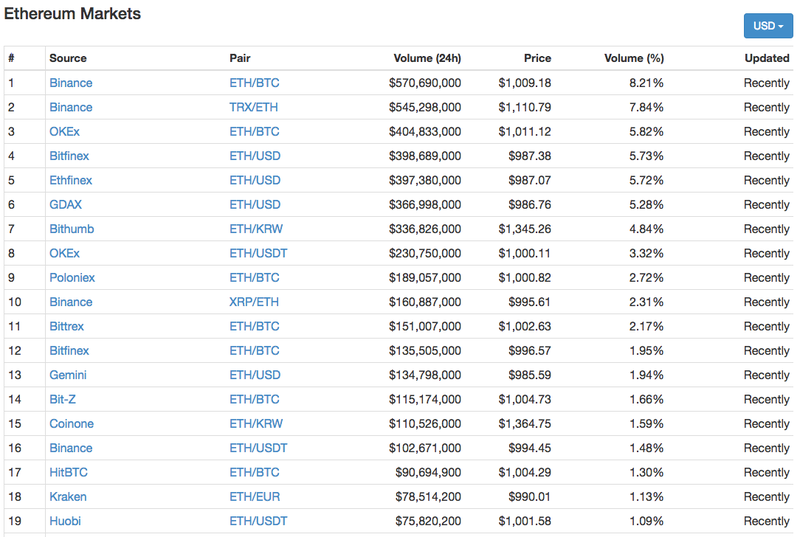 One ether was worth between $700 and $800 for most of the second half of December. But over the past seven days, ethers have been trading up 40 percent. Despite this incredible performance, Ripple is still the second biggest cryptocurrency by market capitalization. Somehow, Ripple has been up over 1,300 percent over the last 30 days. Ethereum has been lagging behind Ripple because of this rally. Bitcoin is becoming less and less dominant. It now represents 32.5 percent of the value of all cryptocurrencies in circulation. A version of this article was published on TechCrunch.